Blanca is an heirloom variety, reportedly from Colombia. It is also sold under the names Pilifera (which is technically the name of a botanical variety) and Sidney. This is the most widespread mashua variety in the United States. Blanca is both slightly sweet and slightly cabbagey. 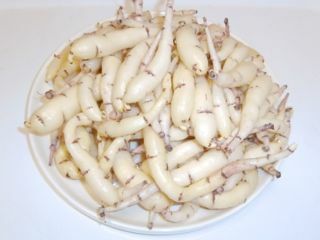 The cooked flesh is moderately firm and remains white. Early to emerge in the spring. Plants are tall on trellis, reaching ten feet or more. This variety has a high yield, with plants on trellis producing 10 pounds or more. 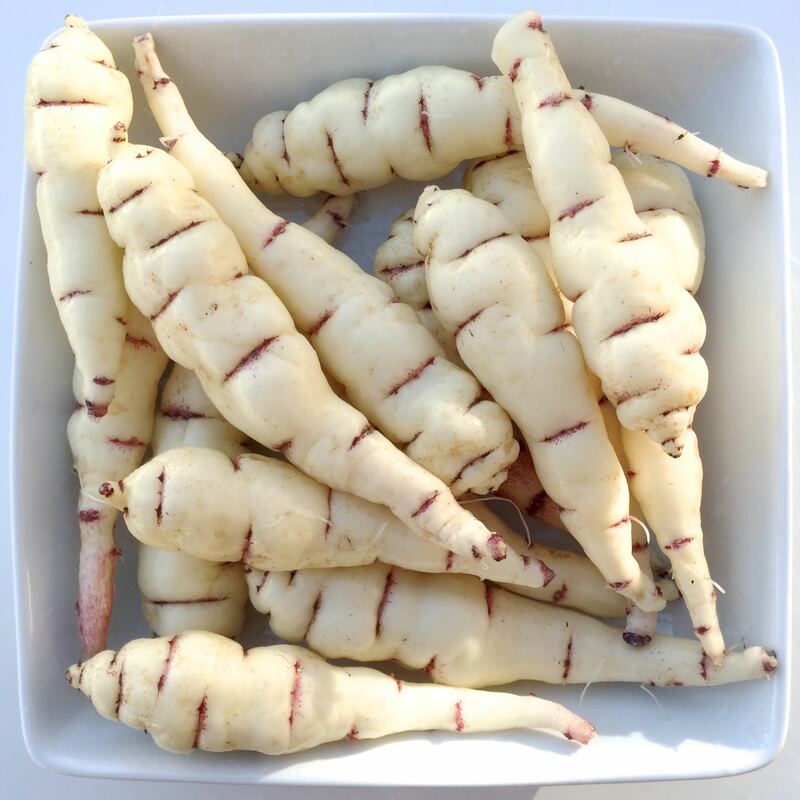 Tubers form early but don’t bulk up rapidly, so it needs a mild fall to reach its maximum. This is a fall flowering variety.